Brookfield Zoo will again be abuzz with beer-sipping guests during its sixth annual ZooBrew later this month. 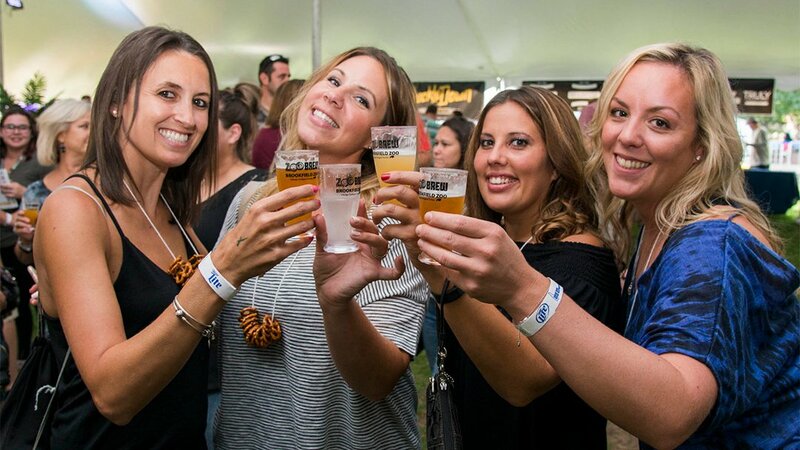 The beer fest, scheduled for Aug. 25-26, offers visitors the chance to sample more than 80 ales, lagers, stouts, porters and malts while taking in the zoo’s wildlife and nature. The 21-and-over event also includes food vendors, live music and a silent auction featuring memorabilia from some of the nearly 30 participating breweries. Among the beer vendors are several Chicago breweries, including Revolution, Alarmist Brewing and Finch Beer Co., in addition to area breweries Brickstone (Bourbonnais), BuckleDown Brewing (Lyons), ExitStrategy Brewing Co. (Forest Park), Kinslahger Brewing Company (Oak Park), Noon Whistle Brewing (Lombard) and Wild Onion Brewery (Barrington). ZooBrew runs from 5 p.m. to 9 p.m. on Friday, Aug. 25 and Saturday, Aug. 26. Several ticket options are available, all of which include free parking and admission to the zoo on the same day (from 9:30 a.m. to 6 p.m.). General admission tickets are $55 and include beer samplings and a commemorative tasting glass. VIP tickets are $85 and include early admission to the ZooBrew tent starting at 4 p.m.; access to the VIP Beer Garden, which features samplings of select specialty brews, snacks and food from Chuck’s Southern Comforts Café; a visit with some of the zoo’s ambassador animals; beer samplings; and a commemorative beer mug. VIP tickets are available only for Aug. 25. “Designated driver” tickets are also available for $35 (general admission) and $45 (VIP) and include unlimited soft drinks (no beer). All tickets will be an additional $10 on the day of the event. Tickets can be purchased at CZS.org/ZooBrew. Feb. 25, 2016: Not typically known for their brewing prowess, the Field Museum plans to launch a limited-edition beer made with the same ingredients used by the Wari, an empire which flourished in Southern Peru from 600 to 1000 A.D.